Steven Rozenski has been selected as an NEH Summer Scholar from a national applicant pool to attend one of 30 seminars and institutes supported by the National Endowment for the Humanities. The Endowment is a federal agency that, each summer, supports these enrichment opportunities at colleges, universities, and cultural institutions, so that faculty can work in collaboration and study with experts in humanities disciplines. Steven Rozenski will participate in a seminar entitled “Arts, Architecture, and Devotional Interaction." The four-week program will be held at the University of York, York, England and directed by Dr. Sarah Blick (Kenyon College) and Dr. Laura Gelfand (Utah State University). Rozenski will be joining the English Department of the University of Rochester as an Assistant Professor next summer, after a year as an Alexander von Humboldt Postdoctoral Research Fellow in Göttingen, Germany. 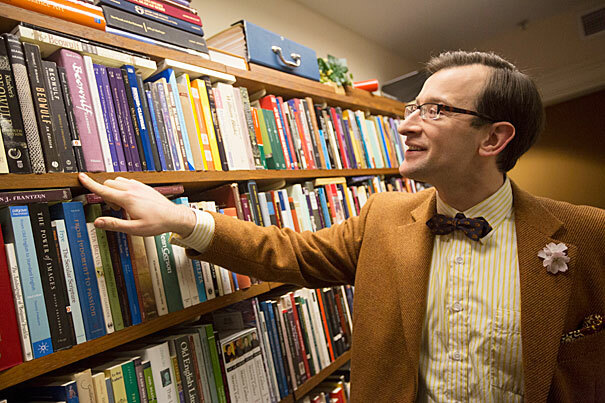 He received his Ph.D. from Harvard in 2012, writing a dissertation on devotional culture and translation in late-medieval England and Germany.